Sophie is going to get married and have a romantic countryside wedding. The countryside she and the groom picked out is full of bright gorgeous sunflowers. It is going to be the best day off there lives. 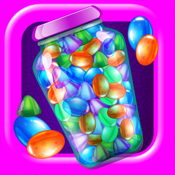 Sophie is first going to the spa salon to get a beauty spa treatment. It is going to be a real relaxing day with facial masks, scrubs and beauty creams. 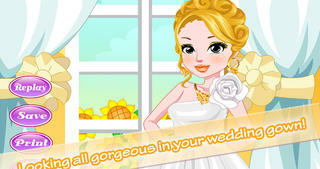 Sophie wants to look her absolute best on her big wedding day! When she is a is all relaxed after her beauty spa salon treatment Sophie is going to have a countryside bridal makeover! 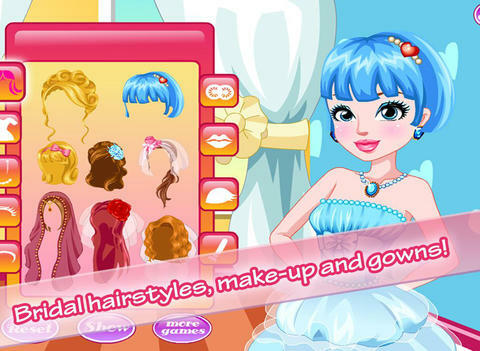 She can choose between lot’s of beautiful bridal makeup like lipsticks, mascara, blush and eyeliner. When the makeup is all done it is time to pick out a fabulous bridal gown. As a finishing touch some jewelry (earrings, necklace). All done for a wonderful countryside wedding! 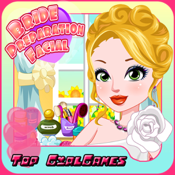 Bride Preparation Facial Spa is a game from Top Girl games and one of the best free wedding makeover game for kids and spa salon games, we publish many different easy to play girl game apps. 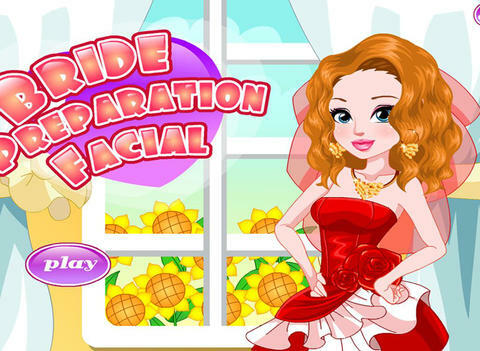 We hope you will enjoy our Bride Preparation Facial Spa and we hope you give us the love by liking our Facebook page or follow us on twitter. 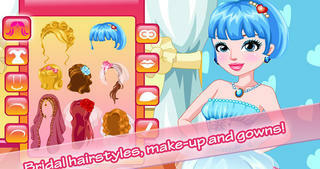 So we can keep you up to date on our girl games, bridal gowns games and hairstyles makeover games.